While I remember saving cardboard boxes as a child and turning them into amazing works of engineering and design (as only a child from 6-to-14 years-old-could — I never, NEVVVVVER, pulled off something this detailed or intricate (not even my cardboard replica of the temple from the old Nickelodeon game show “Legends of the Hidden Temple”; oh yeah, I am THAT awesome). 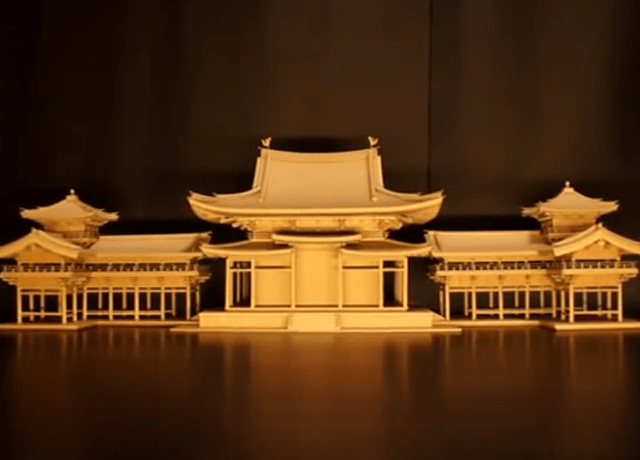 Well, NicoNico Douga user Upuaza Touryou took roughly five months to complete this cardboard creation replica of Japan’s most famous temples, the Byōdō-in, which is made up of over five thousand cardboard parts from Amazon boxes. And what do you do with YOUR Amazon cardboard boxes? I bet you just throw them away, huh? The Byōdō-in (平等院) is a Buddhist temple in the city of Uji in Kyoto Prefecture, Japan, and is jointly used as a temple of the Jōdo-shū (Pure Land) and Tendai-shū sects. 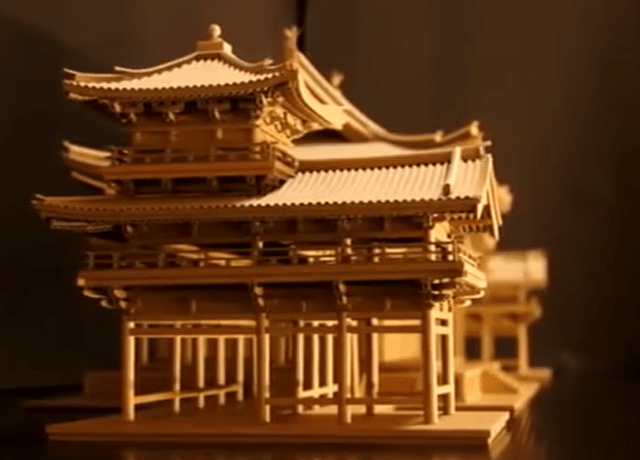 It was originally built in 998 in the Heian period as a rural villa, became a Buddhist temple in 1053, and is the only remaining original building, surrounded by a scenic pond, as the additional buildings that made up the compound were burnt down during a civil war in 1336. What was the total cost of this project, you ask? It cost 300 yen; THREE-HUNDRED YEN!! Which is actually about US$3.00.